We recommend “superfoods” as the primary foundation to your healthy fertility nutrition. They’re a special category of foods in nature with a very high nutrient density. And no, you don’t have to put on tights or a cape in a phone booth to consume them. Think about the way your Mom fed you as a baby. She usually made nutrition count. You were so little then, with a teeny tummy and she would have wanted to make the best of what you took in. Today, we’ve learned a lot more about baby’s best nutrition. Breast milk leads the way to pureed avocados, liver, egg yolks, and salmon. A baby grows on the cornerstone of healthy fats. This is no different for you as a grown-up! Have you heard of the Ketogenic diet? This high fat, low carb approach is usually tried for weight loss. It also has a common surprise side effect of unexpected pregnancies! These weight loss folk don’t know they’re improving natural fertility with this diet. Is this as exciting to you as it is to me? It gives extra confirmation in a place we weren’t even looking for it. 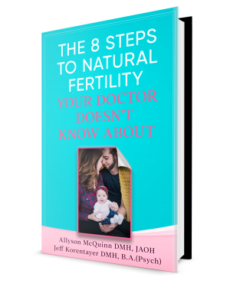 Nutrition is your first order of business for natural fertility. Synthetic multivitamins don’t come close to these powerhouses of nutrition. Besides, synthetic vitamins are expensive, with unreliable efficacy and absorption. Organic Dark leafy Greens (kale and spinach) are great for balancing your pH. They also provide much needed folate which is essential for the early growth stages of a fetus. Green superfoods (spirulina, chlorella) are amazing. They have a high nutrient density. They help balance your pH. They even promote detox and cleansing in your liver. Nothing like spring cleaning your home before company arrives. Raw, unpasteurized dairy is one of nature’s most perfect foods. It digests very well, even for people who have sensitivities. It provides healthy proteins and minerals to your body. Avoid pasteurized milk. It is hard to break down and assimilate due to the enzyme-destroying heat it undergoes. Natural, free-range, organic eggs are a great source of fats and sulfur needed for sperm and egg health. Seaweed is a great superfood given that it contains iodine. This helps the thyroid orchestrate all fertility-related hormones. Superfoods are the poster children for “whole foods”. They contain the full nutritional complexity of nature. Our bodies know how to relate to these. Isolated, single nutritional factors are confusing to your body. This is why vitamin supplements often have unreliable absorption rates. The artificial complexity of a multivitamin doesn’t fool your body. It knows the difference. This is why Superfoods work so well in your fertility plan.